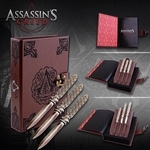 The action adventure games in the "Assassin's Creed" series are some of the best, most popular video games currently available. In part I, you take on the role of medieval assassin Altair and inhabit the region around Jerusalem in 1191, right when the Third Crusade is roiling inside the Holy Land. The game has received many awards, including the MTV Game Award for the best game character: Altair. 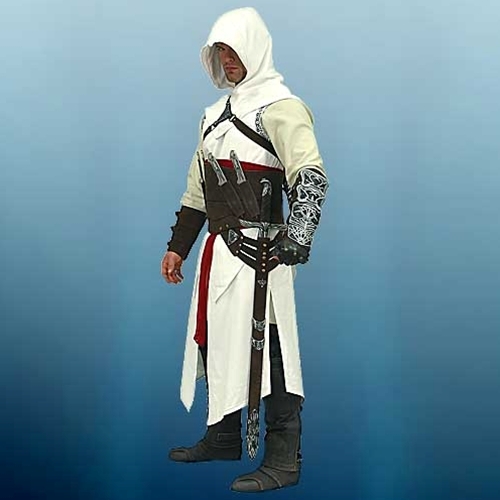 Now you can put on our licensed costume pieces from the Assassin's Creed Altair series and look exactly like this character. 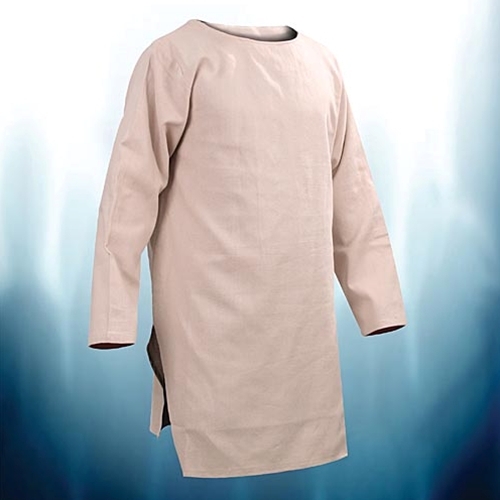 This Assassin's Creed Altair Tunic is the essential basis for transforming into the medieval hero. Made of unbleached, 100 percent cotton, the tunic has a high neckline that fastens with a hook and eye at the back. The straight sleeves are at least as long as your wrists – no matter how long your arms are. 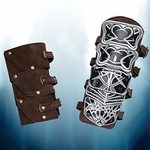 This simple Assassin's Creed Altair Tunic tapers from the shoulders to the hips, and has side slits. 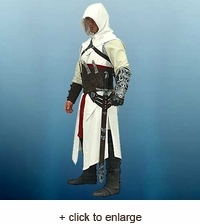 It is perfectly coordinated with other Assassin's Creed Altair costume pieces, like the surcoat, for example.